Expert channel partners power more growth. We know that supporting the relationships with your partner channel, supply chain, resellers, wholesalers, internal employees, and franchises can make or break the overall success of your company. That’s why CourseStage Channel, our channel partner LMS, is the perfect solution to increase your bottom line. When your channel partners have a strong understanding of your products, they’ll be better prepared to fulfill their roles in connecting your business to buyers and end users. We understand the complexities and opportunities that arise when tasked with training your channel partners on your offerings. That’s why our channel partner LMS is more than just a technological solution. Instead, we’ve developed an entire ideology around implementing the perfect learning strategy to attain (and smash) your company’s goals. Our clients have seen immense growth using our channel partner LMS. 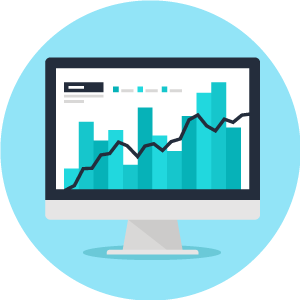 Let us show you how we can help your company see this additional source of revenue today by requesting a demo below! Your company is searching for a channel partner learning management system that will transform your partner channel into experts on various aspects of your products. Let’s take a look at some of the must-have features of a channel partner LMS that are sure to help your company grow. CourseStage Channel’s integration capabilities ensure that your CRM (Salesforce, we’re looking at you) and other systems are all communicating with ease. However, our integration features don’t stop there! Our channel partner LMS can integrate with Slack, Microsoft Dynamics, Survey Monkey, DocuSign, and HubSpot via our rich, Open APIs available in both SOAP and REST web services. 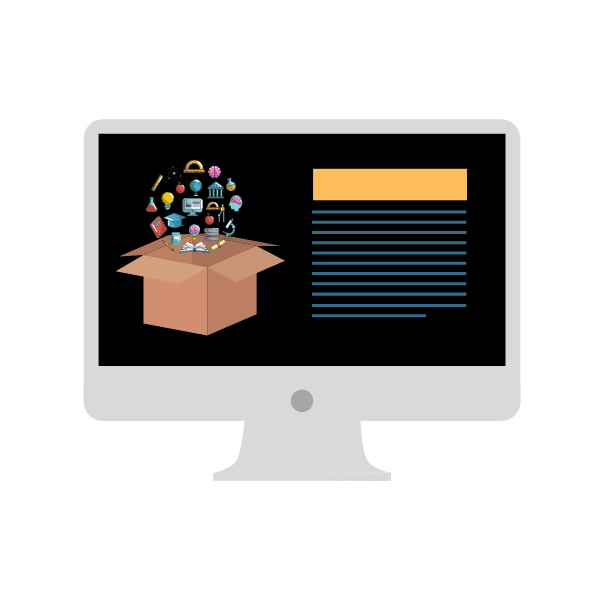 Additionally, we include built-in course authoring tools, SCORM support, webinar software, and curriculum development tools to ensure you can get product training up and running in no time. When your partner channel is motivated to learn, they’ll retain more of the valuable information on your products that will turn them into experts and help your company grow as a result. Gamification tools in our channel partner LMS encourage learning and retention. CourseStage Channel engages your partners with interactive modules that get them involved in the learning process. Gamification elements, including internal scoreboards and flashcards, motivate them to learn and help them track their progress so that they know where they are excelling and where they can improve. For those in your partner channel who are involved in marketing your product, documentation and marketing collateral such as customizable emails and call guides are essential resources. 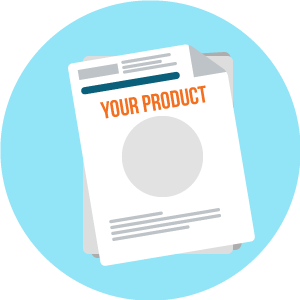 Your partners use these materials to inform their approach toward potential buyers and communicate your products’ features more effectively. Our channel partner LMS grants partners access to marketing collateral that they can then use in their outreach toward potential customers. Our channel partner LMS is more than just a learning management system. When you choose CourseStage Channel to train your partners, your company is connected to a group of experts in the industry that have been providing learning solutions to our customers for 40 years. 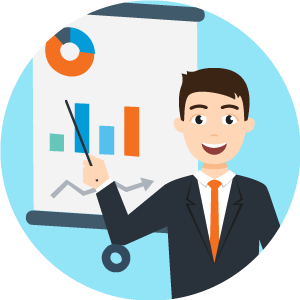 Our implementation, project management, onboarding, strategic learning, technical support, and content development experts are standing by to ensure that your partners are trained as experts on different aspects of your products. Night or day, near or far, phone or email, we have your back. Whether your company is measuring the effectiveness of your offerings to your partner channel, supply chain, or resellers, CourseStage Channel offers you comprehensive reporting functionality so that you can best understand your learners. You’ll be able to follow their progress and determine what types of additional resources will be most helpful to them as they familiarize themselves with your products. Additionally, Google Analytics tracking is included with our channel partner LMS to ensure you have the best insight into your learning management system. We understand that your bottom line drives most of your company’s decisions. Because our clients offer different learning formats to different outside partners, our team of experts works hard to ensure that your channel partner LMS meets all of your company’s requirements. This way, both your company and your partners benefit. Our team will work with your company to set goals for each type of partner you’re planning to train using CourseStage Channel. We help ensure that our channel partner LMS is bringing you the quickest return on investment. When your company uses a channel partner LMS to train your partner channel, your users will learn from software that is customized and unique to your business to minimize potential confusion. However, that doesn’t mean that the overall management and administration of your learning management system should be a pain! Our channel partner LMS ensures that you can support numerous learner permissions and administrative roles, giving the perfect amount of access to your partner managers. CourseStage Channel makes certification and assessments, profile management, course and content uploads, and overall grading and reporting a breeze. Ensuring that your partners have a great learning experience means more value back from each dollar you spend. We have top-ranked reviews on the ease of training and accessing our channel partner LMS. Our responsive design ensures top engagement regardless of the devices that your partners use to learn. Our mobile app encourages learning on-the-go and makes it possible for your partners to complete courses at any place and time. The app enables offline interaction so your partners don’t have to depend on an Internet connection to keep learning. What is a channel partner learning management system? A channel partner LMS is a software solution that companies use to train individuals in their partner channel—a network of external partners that includes sales representatives, dealers, and installers—on the most important aspects of your products. When your partners are better informed about your offerings, your company is sure to benefit and grow. Your channel partner LMS is fully customizable to your company, so partners can be sure that the training materials they’re using are the most relevant and updated means available to learn more about your product. With the ability to direct different partners toward different courses using the sub-portal feature, you can use your LMS to train each group of partners your company works with. What types of companies need a channel partner LMS? If your company’s products are sold to end users by salespeople or dealerships, or if they require installation, then you’re likely working with a partner channel. Similar to the way in which association members can use an association LMS to learn new skills and gain certifications, your partners can use a partner channel LMS to become experts in your products. A channel partner LMS is a particularly useful training solution for companies in manufacturing industries. When you use your channel partner LMS to make learning engaging for each group within your partner channel, you’ll make it easier for your partners to get your product to end users. How will the purchase of a channel partner LMS benefit my company? A well-informed partner channel can increase the sales of your product and lead to growth for your company. Your channel partner LMS is customizable to suit the specific needs of your business and your partner channel, helping ensure that you’ll see a quick return on your investment. Using your channel partner LMS, you’ll be able to ensure that each of your partners stays up-to-date on your latest offerings and any developments that arise among your products. End users will value knowledgable salespeople and partners and be encouraged to purchase your company’s products as a result. What are the most important features to look for in a channel partner LMS? 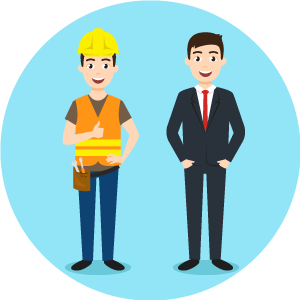 Sub-portals or Multi-tenancy ensuring that each partner you work with is trained on the information most relevant to their roles. Integrations with your CRM and other software systems, so that all of your data is easily accessible from one central location. Gamification elements such as leaderboards, which help motivate your learners and show them how they’re doing in their courses. Support from your channel partner LMS software provider, so that you can get your courses up and running (and keep them updated) with ease. When your partners are engaged in the learning process and administrating and updating your channel partner LMS is easy for your company, both you and they are sure to benefit from this valuable training resource. What is association learning technology? Association learning technology is the software that associations use to offer continuing education resources to their members. The most common is a learning management software, or LMS. A learning management software is a system that associations use to host courses, certifications, accreditations, and transcripts of credits for professionals. Within the system, members can take classes and earn credits to maintain their licensure in their profession, as well as learn more about best practices, cutting edge research, and new techniques. What types of organizations use LMS solutions? Trade and healthcare associations both have unique needs due to their clientele. Trade associations cater to organizations and businesses, rather than individuals. The business is then responsible for designating coursework to members, rather than the association. Healthcare associations need learning management systems because the careers of their members rely on those members having access to continuing education, in order to stay on top of research, trends, and discoveries. Who will use our association LMS? The people who benefit from the LMS the most are the members of your association. When picking out the right learning management software for your organization, consider the user experience that your members will have. They should be able to log in easily with their existing credentials, access their transcripts with credits and certificates, and register for courses without having to rely on customer support. Why should we purchase association learning technology? Your association may not currently use a learning management system, but the time will come when it will be the most helpful software that you can purchase! When you’ve suddenly increased your member population and can no longer distribute educational content and assess learning in a practical or manageable way on your own. 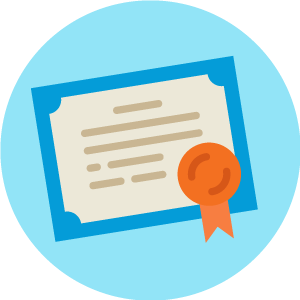 If you hosted a conference and need a way for those who couldn’t attend to complete the courses and gain the relevant certifications. Your instructors are no longer able to administer and grade assessments in a timely manner. Your conferences, conventions, and in-person educational meetings are seeing a dip in attendance because people aren’t able to make the commitment to traveling. In all of these situations, your association could benefit in terms of both member engagement and non-dues revenue if you offered virtual classes through an AMS.